In the first half of the 20th century there were considerably different vocal schools depending on whether a singer studied in Italy, Spain, Germany, Russia or France. The following Spanish sopranos are illustrative for their creative and imaginative singing. This becomes, in my opinion, especially important today with the complete loss of the national schools of singing and the resulting homogenization of international vocalism. Today we have the opportunity to refer to older recordings in order to learn from the various embellishments chosen to ornament an aria, whether one agrees with those or not. When listening to the art of ornamentation of the following singers, one should not judge too harshly but rather look into the stylistic proprieties of that particular era. She was born in 10 March 1883 at Barcelona. 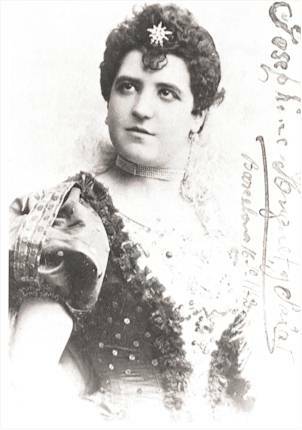 After a short course of singing lessons with Francisco Bonet at her home town, she made her debut at the age of 14 (!) at the Teatro Lirico Barcelona in La Sonnambula, followed by several other leading roles at the Teatro de Novidades. 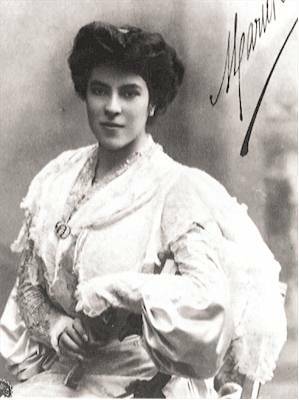 After further studies, she sang at Covent Garden (Rosina in 1903), at La Scala as Dinorah, again Rosina (1904/05), and at many leading theatres throughout the world. In 1916 she made her Metropolitan debut in Lucia di Lammermoor, where she became an idol by the public, and appeared regularly in the standard coloratura roles during the next four seasons. In later years she became an admired interpreter of French and Spanish songs. Around 1924 she retired and restricted herself to recitals. Maria Barrientos was one of the most eminent sopranos of her time. She was not only a fabulous singer but also a beautiful woman. 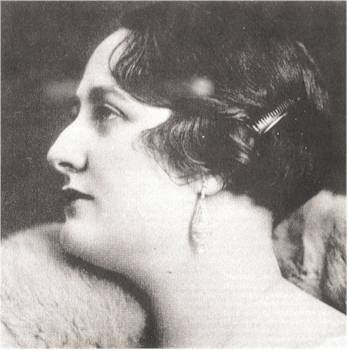 She made a valuable set of recordings for Fonotopia and Columbia, including de Falla’s Siete Canciones Populares Espanoles and Soneto a Córdoba, with the composer at the piano. Her voice is of almost instrumental limpidity. In the following title (Verranno a te) she sings with an extraordinary legato similar to the sound of a Stradivari violin. She is one of my favorite coloratura sopranos. Curiously, Mercedes Capsir was born in the same house where, 14 years earlier, Maria Barrientos had been born. She studied in Barcelona and Italy, making her debut as Gilda in 1914 at the Teatro Principal in Gerona. 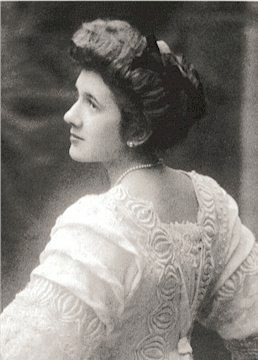 She sang in Spain and Portugal until 1918 and appeared at the Teatro Colón in 1916. Her most important roles were Lucia, Ophélie, Rosina, Gilda and Violetta. In 1919 she began her Italian career at Bologna and Florence, frequently appearing at Naples, Turin and Rome until 1943. She sang at La Scala from 1924 - 1934, taking also part in Giordano’s Il Re (1929), appearing opposite Chaliapin, Galeffi, Lauri-Volpi and Pinza among others. She often returned to Spain. She was heard in Berlin in 1924, at Covent Garden in 1926 and at the Vienna State Opera in 1935. Her last appearance took place in 1949 at Barcelona. She was Rosina on a complete recording of Il Barbiere di Siviglia, featuring the unforgettable Riccardo Stracciari as Figaro. She sings the famous aria of Rosina with highly personal cadenzas and rich embellishments. Note her omission of lower sounds in favor of vocal extension towards her quite remarkable upper register. 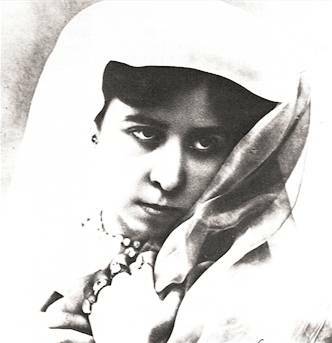 Born in Teruel, she studied in Barcelona and Milan making her debut in 1908 at the Teatro San Carlo as Rosina, also the role of her Metropolitan debut in 1910, where she also sang Amina. She appeared at La Scala, Rome, Buenos Aires and Covent Garden, where she sang Gilda in 1924 with the British National Opera Company. Returning to the Metropolitan (1924 - 1926), she sang Gilda and Lucia. At San Francisco (1925) she sang Rosina, Violetta and Martha, then toured the United States in Il Barbiere di Siviglia with Feodor Chaliapin . Her repertory included Elvira in I Puritani, Linda di Chamounix and Marguerite de Valois in Les Huguenots. She retired in 1932, taught in Athens, her pupils included Maria Callas. Later she moved to Ankara and Milan. Her Norina shows a voice of a less instrumental quality than of other coloratura sopranos of her generation. Hers is a bright and agile soprano voice, but there is no lack of gracefulness and warmth. Born in Granada, she studied at the Madrid Conservatory with the renowned singing teacher Lázaro María Puig and Napoleone Verger. She made her debut as Lucia at Cartagena in 1897. Specializing in coloratura roles, she sang with great success in Spain and Italy, gaining her greatest popularity in South America. She also toured with a company that performed throughout Europe, including Russia (where she was a favorite singer), visiting London 1909, where she appeared at Drury Lane as Amina, Rosina and in the title role of Meyerbeer’s Dinorah. In Lisbon she sang uninterruptedly for 15 years at the Coliseu. She gained great success in Parma, Venice, and Genoa. It seems rather strange, however, that she never managed to appear at La Scala, the Met, the Teatro Cólon or at Covent Garden. She retired to Brazil and died there in poverty. Vocally, María Galvany represents an extreme case. Her virtuosity, the limpidity of her trills, roulades, and above all, her staccati lead us to think, more of an instrument than of a voice. One might get the impression to listen to a canary. Nevertheless, some of her recordings are remarkable for the sweetness of her voice. Listen to the duets she made opposite Tita Ruffo. You will hear a singer capable to adapt the musicality of her great baritone colleague. In the following title she “invented” a breathtaking cadenza. She studied with the same teacher like Maria Barrientos in Barcelona, where she made her debut as Lakmé at the Teatro Liceo in 1888, a theater with which she soon established a long relationship. She toured Spain, South America and Italy, appearing first at La Scala in 1896 as Ophélie in Thomas’ Hamlet. She was very popular in Russia, where she sang several times opposite Mattia Battistini. Often compared with the famous coloraturas Sigrid Arnoldson and Regina Pacini, she appeared at the New York Academy of Music in 1898. Her repertory was centred on coloratura roles such as Rosina, Elvira and Amina, but she also sang Mimì, and her recordings even include excerpts from Lohengrin. Her recordings range from the Queen of Night to Desdemona and Nedda. Sweet, firm and musical, her voice and style give more pleasure than do those of several of her more celebrated contemporaries. J.M. de Sagarmínaga spoke of a “chameleonic voice.” She recorded mainly for HMV and she was in the cast of the first ever produced complete opera recording of Leoncavallo’s I Pagliacci. She was the daughter of a renowned Liceo soprano and of the composer Gabriele Sibella. She studied with Vidal in Milan and made her debut as Amina in La Sonnambula at Madrid in 1908. For two seasons from 1909 she appeared at the Teatro Colón Buenos Aires as Gilda, Adina, Rosina and Ophélie, roles she repeated there in 1926. In Italy she sang at Rome and Naples, as Marguerite de Valois (Les Huguenots) at Turnin in 1912 and reached La Scala in 1914 where she appeared as Gilda. In 1920 at Covent Garden she sang Norina, Violetta and Leila in Bizet’s Les Pêcheurs de Perles under Sir Thomas Beecham, who considered her the best light soprano of her day. She appeared at Chicago in the seasons 1923 - 1925, and sang Carolina in Cimarosa’s Il Matrimonio Segreto at Salzburg in 1931.